Strengthening of communal services (community support, health, work and volunteer work) Thus, about a hundred of definite actions and improvements necessary to ensure a better way of living together have been listed. 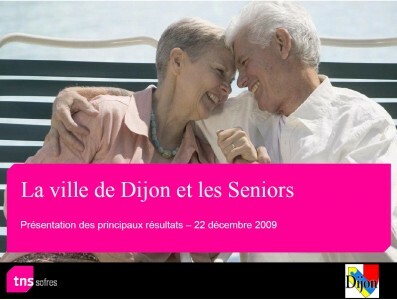 The “Office for Dijon Seniors” which offers sports, cultural and leisure activities to people aged 55+ needs to evolve. The creation of an “Observatory on Age, composed of citizens, associations, researchers, and elected representatives. Its aim is to promote innovation and to monitor the policies initiated by the Town Council.